Our political panel takes stock of the latest twists and turns in Canada's corridors of power. Today, we look at accusations that the prime minister pressed former justice minister Jody Wilson-Raybould to intervene in the prosecution of construction giant SNC-Lavalin — and the challenges facing the NDP. The government is "trying to play an aggressive, firm, consistent defence" against allegations surrounding the former justice minister, but the prime minister's language isn't helping its case, according to a guest on The Current's political panel. 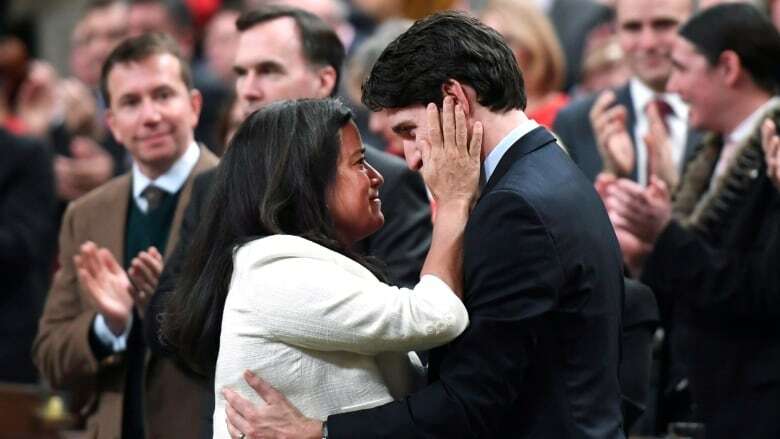 On Thursday, Prime Minister Justin Trudeau denied his office had pressured former justice minister Jody Wilson-Raybould to intervene in the the case of corruption charges against Quebec company SNC-Lavalin. "Neither the current nor the previous attorney general was ever directed by me, or by anyone in my office, to take a decision in this matter," he said. Tim Powers, a former Conservative Party advisor and commentator, said that the word "'direct' is like a hand grenade with the pin pulled out." "Using that word and using that very legalistic-type language has now opened the door to a never-ending cascade of questions," he told The Current's guest host Piya Chattopadhyay. "And that's going to be a problem for him." On Thursday, The Globe and Mail alleged Wilson-Raybould was demoted in a cabinet shuffle last month because of her refusal to intervene in the SNC-Lavalin case. The Quebec engineering and construction giant has been charged with bribery and corruption in a bid to secure government business in Libya. Wilson-Raybould has refused to comment. On Friday, NDP Leader Jagmeet Singh called for an ethics investigation into the allegations. Susan Delacourt, national columnist and Ottawa bureau chief for the Toronto Star. Tim Powers, a former Conservative Party advisor and commentator, and vice-chairman of Summa Strategies. Written by Padraig Moran, with files from The Canadian Press. Produced by John Chipman, Alison Masemann and Ines Colabrese.